Product #16453 | SKU ADC88 | 0.0 (no ratings yet) Thanks for your rating! The ADC88 6-Piece Foam Windscreen Set for the Sony ECM-88 Series Lavalier Microphone (Colour Mix) reduces speaking and environmental noise for the Sony ECM-88 series electret condenser omnidirectional lavalier microphone. 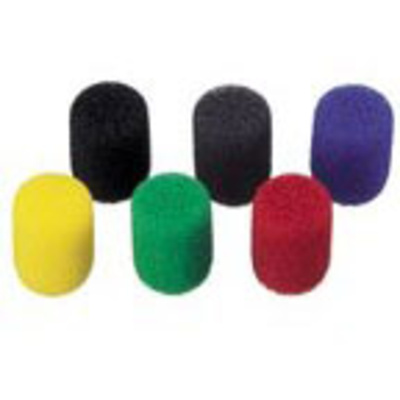 Choose any of the following colours to make the microphone tip blend in or stand out: red, yellow, green, blue, gray, and black.